In one of the photos, a visibly emotional Rajinikanth can be seen blessing Soundarya Rajinikanth as a teary-eyed Latha holds her daughter's hand. 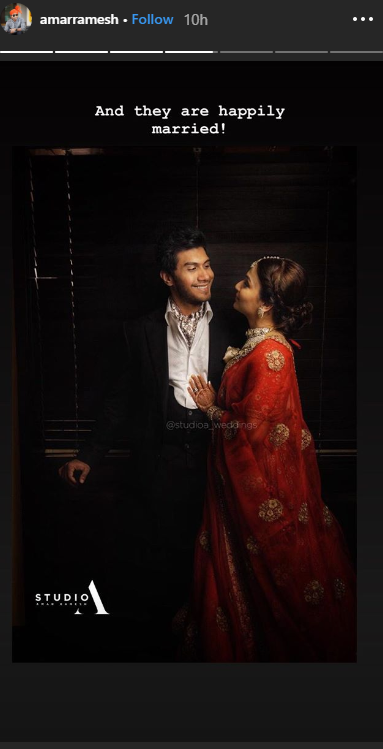 Soundarya Rajinikanth shared snaps from her wedding album on Twitter soon after she married actor businessman Vishagan Vanangamudi as per south Indian rituals in Chennai. In one of the pictures, Vishagan can be seen tying a mangalsutra to complete the wedding rituals. 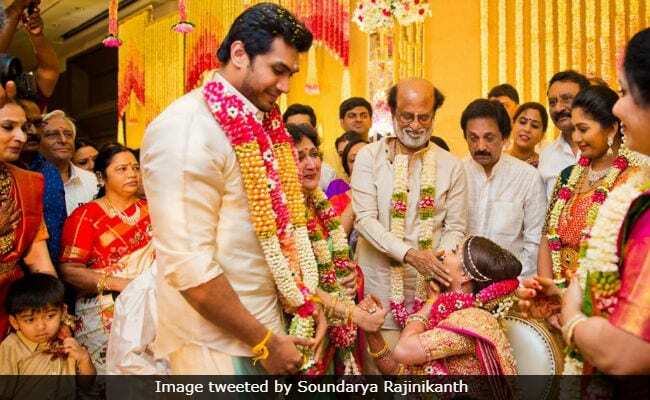 In another picture, Soundarya's son Ved (with first husband R Ashwin) can be seen sitting on his mother's lap amidst the wedding festivities while in the third picture, a visibly emotional Rajinikanth can be seen blessing Soundarya as a teary-eyed Latha Rajinikanth holds her daughter's hand. 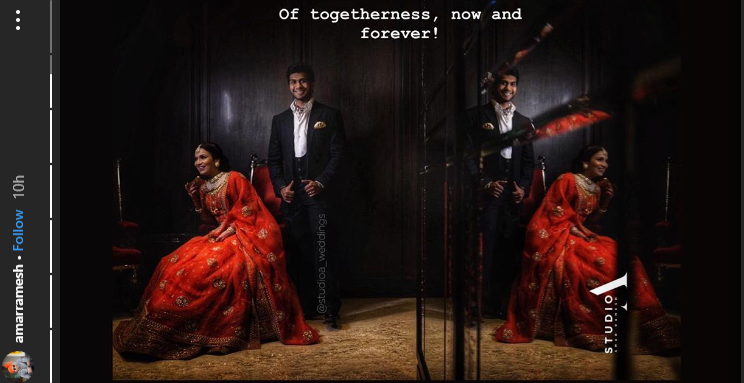 "#Mr&Mrs #MyFamily #WeAreOne #VedVishaganSoundarya (sic)," Soundarya captioned the post. 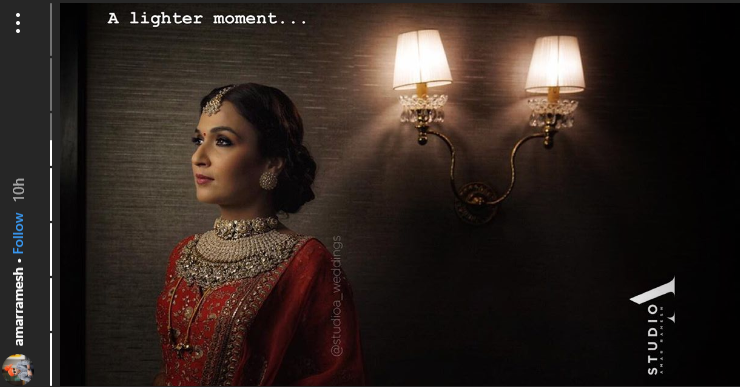 Before Monday's wedding function, a pre-wedding reception was organised for Soundarya Rajinikanth and Vishagan Vanangamudi, which was followed by a combined mehendi function and a sangeet ceremony on Saturday. The wedding was held in Chennai's The Leela Palace Hotel and it was attended by top politicians including Tamil Nadu chief minister Edappadi K Palaniswami and members of the south film fraternity, including actor filmmaker Kamal Haasan and directed KS Ravikumar. Soundarya is a graphic designer and filmmaker. Vishagan owns a pharmaceutical company and he is also an actor. He was recently seen in Manoj Bheeda's Vanjagar Ulagam. Game Of Thrones 8: When Did It Become A Bad Rom-Com?